Hand's three children – Arwen, Huw and Tomos – have never lived in Wales, spending their entire lives in Asia. Their Australian mother speaks to them in English. "As the kids were growing up until the age of five we always had a Welsh speaker at home in addition to me," Hand said. "It's about the mindset of thinking of yourself as a Welsh and a Welsh speaker, and compare yourself to a French person or a Spanish or a German. Despite this, Hand's family is something of a rarity. Many Welsh speakers see their language skills diminish after they leave the country and switch to primarily speaking English or another language. There are also no international schools and other institutions available to French, German or Japanese who want their children to grow up speaking a particular language. Nor is the fact that the Hand children speak Welsh remarkable just because of where they live. Only a generation ago, the language was on the verge of dying out completely, joining the hundreds of other languages ​​that have gone extinct in the last half century. Today it is spoken by about half a million people in Wales, or just under 19% of the population – a rate that has remained stable for almost a decade. The story of the Welsh Revival is one of the tremendous organization and effort of activists and politicians who have not only saved their own language but also established a blueprint of sorts that can be used by other languages ​​under threat including Hong Kong's own Cantonese . Such a blueprint is desperately needed. Languages ​​are far more vulnerable than many people realize and can die out in a single generation if not passed from parent to child. This year is the United Nations International Year of Indigenous Languages, an event designed to raise awareness of over 1,700 languages ​​listed as endangered by UNESCO. 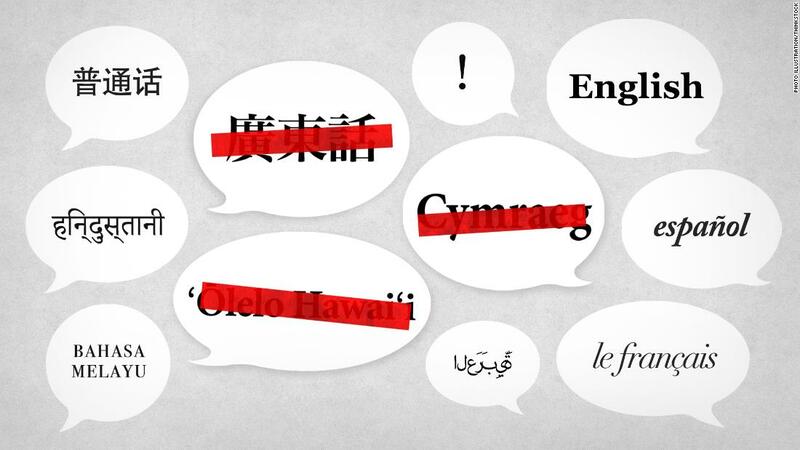 More and more languages ​​die out every year. "The Welsh language is a vast drawback to Wales, and a manifold barrier to the moral progress and commercial prosperity of the people." So concluded an 1847 report prepared for the UK government in the wake of widespread social unrest in Wales, which blamed the "lack of education of the Welsh people." "It is not easy to overestimate its evil effects," the report said of the country's native language, adding "there is no Welsh literature worthy of the name." In the wake of the report, Welsh Nots, planks of heavy wood that were hanging around students' necks if they were caught speaking Welsh in school, became a common sight across the country. As one teacher wrote in his school's log book in 1870: "Endeavored to compel children to speak in English by means of a piece of wood. Offenders to be shut in after school hours." These attitudes, along with increased immigration to England, have helped lead to a staggering drop in the use of Welsh. By the time Plaid Cymru – the Party of Wales – was founded in 1925, the number of Welsh speakers had fallen to 37% of the population and was headed into a terminal decline. Growing up in West Wales in the 1950s and '60s, Toni Schiavone was constantly aware of the second-class status of the language in the eyes of the English-speaking elite who governed the country. "Our culture was being slowly destroyed," he said. 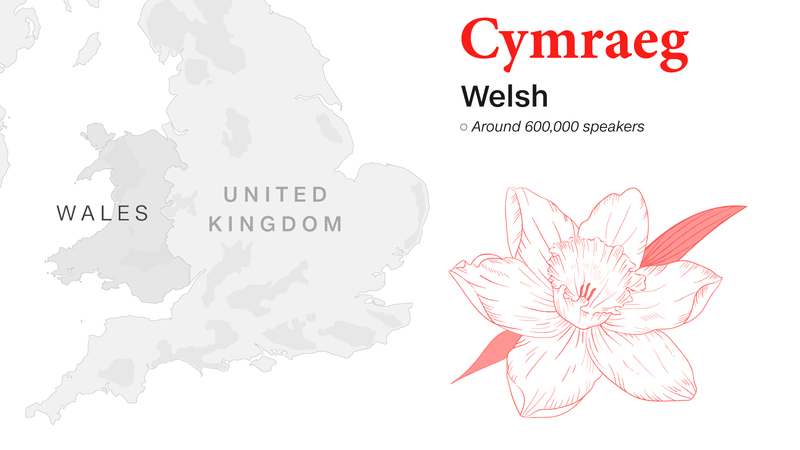 "Although I was born and grew up in a Welsh speaking area, my education was 95% in the medium of English, everything around us was in English, and it was predicted that there would be no Welsh speakers by the turn of the century . " Schiavone was an early member of Cymdeithas yr Iaith Gymraeg – the Welsh Language Society – which was organized to protect the country's native language through demonstrations and non-violent direct action. Members of Cymdeithas vandalized English-only road signs, staged sit-ins and protests, and campaigned for the establishment of a Welsh-language public television station, which was finally launched in 1982 as S4C. Thanks to pressure from groups like Cymdeithas and the growing electoral success of Plaid Cymru, the political winds began to turn in favor of Welsh. In 1993, the law was passed to allow the language to be used in court and to be placed on equal footing with English for all public services. In decades since, Welsh education has been ramped up nationwide and in 2011 it became the official language of the country. The government of Wales – – which won partial autonomy from the UK in 1997 – is now thoroughly invested in promoting the Welsh language, setting a target of one million Welsh speakers by 2050. Far from being on the verge of extinction, Welsh is often held up today as an example of how grassroots organization and government support can revive a language. "Almost everywhere the language had ceased to be and first language, "he said. "The break in transmission was fairly complete, it was a real effort to jump start the language again … you had to essentially skip a generation, bring in these grandparents and grand-grandparents and get them to interact with preschool-age children. " Ekela Kaniaupio-Crozier was one of the people who helped turn it around. And a native Hawaiian speaker, she was a rarity among her school friends, and she was the only child attending a language class run by a local church. Despite this, she still struggled to overcome prejudices baked into Hawaiian society against the state's indigenous language. "I was raised by my grandmother to speak the language. She was very adamant that I speak Hawaiian," she said. "Because I thought it was strange I did not really choose to speak it back to her but I understood everything." After university – in which she trained as a Hawaiian teacher – Kaniaupio-Crozier became involved in the statewide campaign to revitalize the language. 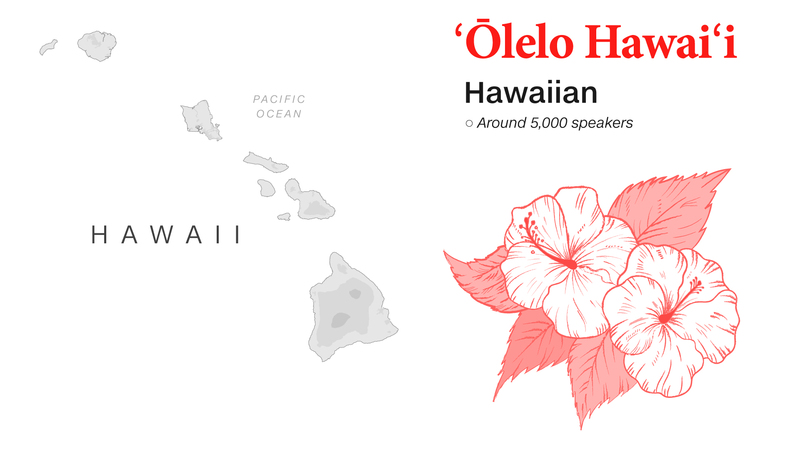 That project has seen remarkable success, leading to a generation of new second-language speakers who are able to pass Hawaiian on their own children. Now in her late 50s, Kaniaupio -Crozier is at the cutting edge of digital language preservation and promotion. Along with several other teachers from the Kamehameha School Network, she is working alongside a team from the Pittsburgh-based Duolingo language app to create a Hawaiian course for English speakers. On the Slack Messaging app and via Skype, Kaniaupio-Crozier and her colleagues are liaising with Duolingo developers to come up with bitesize chunks of Hawaiian people who can learn and practice on the go through the gamified mobile interface. "It's been interesting," she said. "We're all language teachers, to try and figure out how to do it on this app has been a real challenge. For us to think in these terms, what's most important to somebody, what do they want to see? think different, approach our language teaching differently. " Myra Awodey, a senior Duolingo community specialist, said minority languages ​​were not "on our radar" when the app was first launched. "We've had a big impact we were covering the big languages," she said. While there were many requests to add minority languages, developers often could not justify focusing on them over more widely used ones. Irish was the company's breakthrough moment. A team of volunteers built a database for the language and "blew us away," Awodey said. The course now has almost 1 million active learners, or about 60% of the total number of Irish speakers in Ireland itself. Since then, Duolingo has added Welsh (330,000 active learners), Esperanto (380,000), and the South American minority language Jopara (340,000), as well as High Valyrian and Klingon, two made-up languages ​​from the TV shows "Game of Thrones" and "Star Trek" respectively. While serious concerns have been raised over the risk of "digital language death" – whereby the native languages ​​are not used on modern communication platforms, the hastening of their demise also plays a role in conserving languages. Apps and games, along with YouTube shows and podcasts, are new and increasingly successful ways of keeping the language alive and vibrant. David Hand, the Welsh-speaking Hong Kong, said the previous proliferation of Welsh-language books, music, TV shows and films all helped keep the language alive. "One of the challenges of course to strengthen (a) language is not to be backward looking, "he said. " Nestled at the foot of the Castle Peak in Hong Kong's northwest New Territories, the enormous white-brick expanse of Harrow International School looms over large green football fields. Students wearing blazers and straw boaters pass under neoclassical arches as they head to class inside the boarding school, reminiscent of a foregone era. But while his look may be old fashioned, Harrow has found himself embroiled in a thoroughly modern controversy. Earlier this year, the school announced it was dropping the traditional Chinese characters used in Hong Kong and Taiwan in favor of simplified versions favored in China. In a letter to parents, Harrow defended the move as necessary "to prepare our pupils to be fully literate in the context that Hong Kong will be in by 2047." That's when the city's current constitutional arrangements expire and it could lose its semi-autonomy and be fully absorbed into China. Institutional support for education was pivotal in the revival of Welsh. It is an approach that has been adopted in Hawaii, Iceland and New Zealand, where the government has pledged to make Maori a core subject in all schools by 2025. However, in Hong Kong, many fear Cantonese is heading in the opposite direction. Language has become a key battlefield for those pushing back against encroachment from China and seeking to emphasize the city's unique identity in the shadow of its much larger neighbor. Some 144 Chinese languages ​​are listed as in danger by UNESCO, with 24 on the verge of extinction – including Manchu, the language spoken by the country's former imperial masters. That Cantonese could follow suit may seem alarmist, bordering he ridiculous. About 90% of Hong Kongers – some 6.8 million people – speak it as their first language, and another 73 million people worldwide speak Cantonese or a closely related dialect. Yet the fear is that as much as English pushed out Welsh as the dominant language of Wales, Mandarin – the official language of China – will increasingly replace Cantonese in Hong Kong, sending the latter tongue into decline. In the past decade, schools across Hong Kong have been encouraged by the government to switch to using Mandarin rather than Cantonese as the primary language in Chinese lessons, which officials say is intended to "enhance the biliteracy and trilingualism of students." While only less than 20% of primary schools and only 2.5% of secondary schools use only Mandarin to teach Chinese – with the majority using a mix of Cantonese and Mandarin – the figure is growing. Concerns about Cantonese were on display in "Ten Years," and the hugely popular Hong Kong movie anthology released in 2016 which predicted a dark future for the under Chinese rule. In one chapter titled "Dialect," a taxi driver finds himself unable to work after a regulation requires fluency in Mandarin and marginalizes native Cantonese speakers. "What is happening with the renaissance of Welsh is the polar opposite of Cantonese, "said Marco Kwan, a founder of Words.hk, and a website dedicated to documenting how city's language is used in everyday life. "While preserving the language is overwhelmingly dependent on the educational policy." 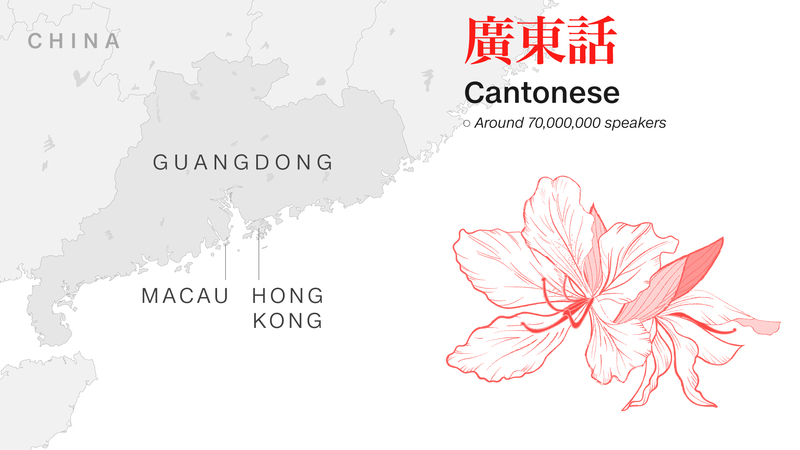 While Kwan is wary of a "top-down aversion to Cantonese." He says this is largely down to city officials and schools seeking to curry favor with the Chinese government by promoting Mandarin teaching in its stead. On the other side of the debate, he pointed to a "worrying tendency to Cantonese as an integral part of the separatist movement, or a revolutionary element, which will make it harder to garner funding and be all the more detrimental to its development. " Holton, the endangered language researcher, was also skeptical of whether Cantonese could ever enter a fatal decline due to the sheer number of first-language speakers in the Chinese diaspora. However, he was sympathetic to the concerns expressed by many Hong Kongers, and he said it was important even for speakers of major languages ​​not to be complacent. "Language survival is not about taking speaker numbers into account," Holton said. "If policy does not support the language, then it makes it difficult regardless of the number of speakers."